A working group of the IT security delegates has completely revised the security information for IT Services. The simplicity of the website is deceptive. To put it simply: Nothing about this website has been left to chance. What has been replaced on the Website? Up until now, when an ETH member searched for information about IT security in the search field on the ETH website, the results were, shall we say, lacking. There was a page for IT Services online but the content was randomly selected and disorganised. As a result, the site was not able to fill the need for reliable information. IT news at ETH Zurich – “Find out what’s going on in terms of IT at ETH Zurich”: the 18th inside|out newsletter is online. The first newsletter this year is online. IT Finds: What do you associate this with? 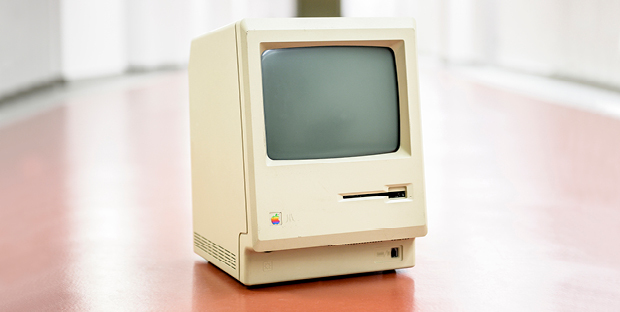 Join us on a journey into the past: When was this object built and what do you personally associate with it? Do you want to tell us your story? Emails are a practical and useful means of communication. 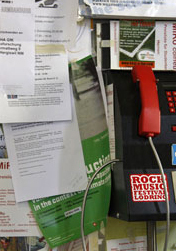 However, they are often used by fraudsters to steal confidential data such as passwords or bank information. These so-called phishing emails pose a real risk. Not all of them can be automatically detected and stopped by technical email filters. This also means that phishing emails cannot be prevented from appearing in your mailboxes now and again. ETH Zurich’s new resources and financial platform was successfully put into production on 9 January 2019. This important step marks the achievement of the refine project’s most important milestone. This success has, of course, been achieved thanks to effort of everyone involved. Congratulations to the more than 100 people in many ETH organisational units and several external specialists. For IT Services, it was the areas of basic technologies, development and porting of existing products, data migration and process design. This post will elaborate on the roll of IT Services. On the 11th march it was that time of year again – the ETH Hönggerberg opened its doors for 2 days to bring school classes closer to computer science and to show them impressions from the everyday life of a student at the ETH Zurich. And it was a huge success! For my professional training I prefer to attend software developer conferences, and among these the EuroPython conference has grown close to my heart. What sets this conference apart is the fact that it is community-driven and therefore offers a range of presentations and events rarely seen at more commercial developer conferences. I remember a keynote from the EuroPython Conference 2017, in which the speaker from Nigeria talked about the lively Python developer scene in sub-Saharan countries. I learned from this keynote that Django Girls courses have been organized in several countries (Django is a Python-based web framework) and national Python conferences have been held in Zimbabwe, South Africa and Nigeria. The 11th IT security campaign has started, focusing on how to keep intruders out. Everyday life without IT devices is hard to imagine these days. They simplify our lives and accompany us almost everywhere. Unknowingly we give away more about our identity when we use these devices carelessly. Research data, hobbies, date of birth, interests, shopping behaviour or credit card numbers: Do you know what data is stored on your devices, and who has access to that data? With these tips, you can protect yourself against intruders. 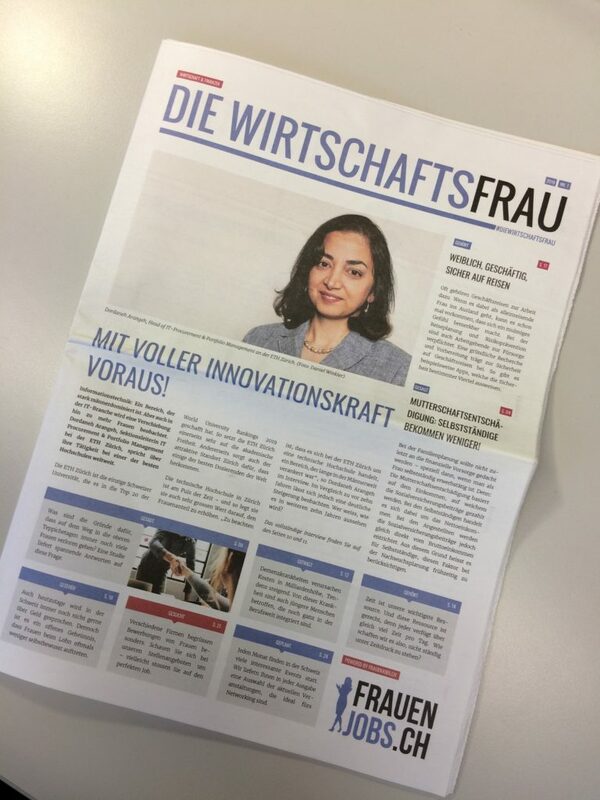 Dordaneh Arangeh, Head of IT Procurement & Portfolio (ITS PPF) discussed and provided answers in an interview with the magazine “Die Wirtschaftsfrau” [“The Businesswoman”]. Quote from the editors: “Her career path reflects her unique personality. She made her way to the very top with a large helping of endurance”.